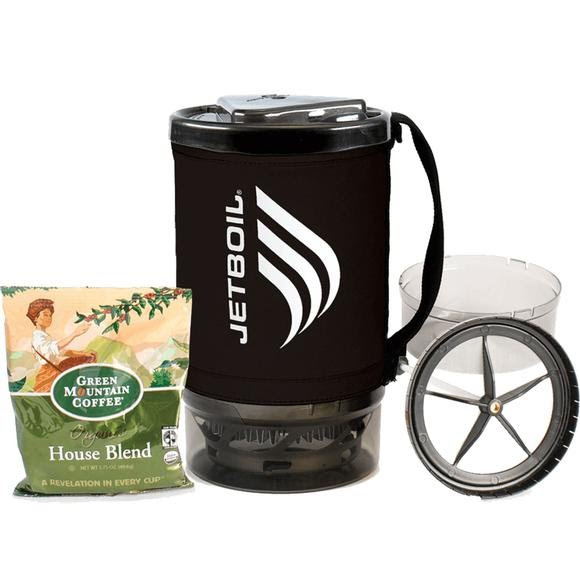 Fuel up the group and go - the Grande Java Kit has room for the whole cooking system right in the cup! Kit includes the 1.8L Spare Cup, the Grande Coffee Press and a coffee sample pack. Burner sold separately. For use with SUMO, MiniMo, MicroMo, Flash, Flash Lite, Zip, LUNA, PCS and GCS Jetboil systems. Dimensions (packed) 8.25" x 4.9"